I did not plan this, this sort of just happened and I am extremely happy that it did. I will go back a few weeks... We stayed home more or less for the whole summer. My DH cleaned/organized the garage and every now and then I had to go and make a decision of what needed to go and what would stay of my stuff that was down there. I have plenty(!) and among other treasures boxed away there was some fleece from my felting period. I think I did most of my felting in 1990's towards the end of the decade but very, very little after that. I refer here to felting from fleece, not felting/fulling knitted items. I stared at my fleece boxes wondering if I should just toss them away since I was probably not going to felt anything anymore. I was sure that all that was behind me - but then I was just a little reluctant after all and decided to keep them. All this was in July. Came August and I was looking at needle felted items on Pinterest. 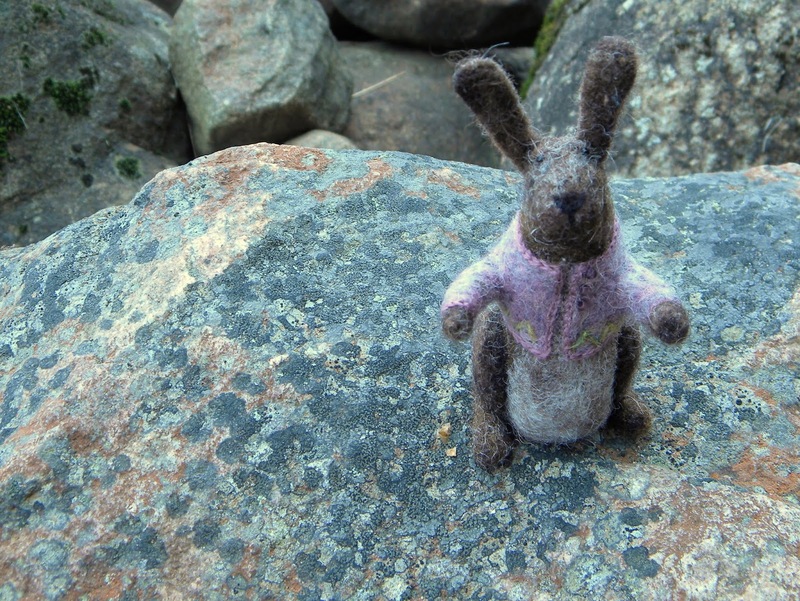 I have tried needle felting but I never really got it and had not realized all the possibilities. - So during the whole summer, I was not doing much, I could not focus on anything and had slowly more or less backed away from all my various crafts and I sort of had a clean plate. After seeing all the cute/beautiful/interesting/fabulous needle felted items I had to go back to the garage and take down all the fleece boxes from the shelves. Before I really realized I was collecting bits of wool in different colors and washing and carding it and needle felting small bunnies. While I have been making these, I have felt that this is a beginning of a new adventure, as if I have just opened a door into something really, really wonderful and cannot wait to see what is out there waiting to be discovered. I just love wool. It truly is worth saving every little bit and today I cannot understand the thought of getting rid of it - what was I thinking? It is fantastic in all its forms. PS. A lot has been going on during these past summer months, many things that I just want to leave behind. Maybe at some point I will talk about few things that we had to deal with epilepsy but now I just want to focus on today. I will just say that I had to use every bit of strength in me to keep everything together the best I could, and I am so sorry that I have not been answering e-mails or messages, I sort of just dropped out of my usual life. My crafting life was almost non existing and I am looking forward to getting back to making things... But, thank you all for your support, and even though I have not been writing, the thought that the blog (you) is there waiting for me, has been a very good thought. I love them !!! They are great!! Oh these are so, so beautiful. Sometimes it is necessary to change the routine, to let something new like this develop. I'm sorry to hear about your difficult summer but I am so happy to see that you have found a new wool adventure. Oh Lene! They are delightful! You are so wonderfully talented, everything you do is simply amazing. I've been thinking of you and hoping all is well. Thank you for sharing your gorgeous sunset, and your lovely bunnies. The rocks are a great display space for the bunnies. Seeing your beautiful post today, I really felt that there was no other person in the entire world who could have made these wonderful creatures. They are full of life! The shape of the bodies, the detail on the clothing, your photographs which make them so real to me -- you are an amazing creator. Then -- you share them with us. You are doing the most important work I can imagine. Thank you so much! Love the bunnies. You are just so talented whatever you do. Sometimes we just need a break from things and it can be so refreshing to go back to something "old" and you suddenly remember why you enjoyed it. Love your outdoor photos ( another talent ). Your bunnies are terrific! 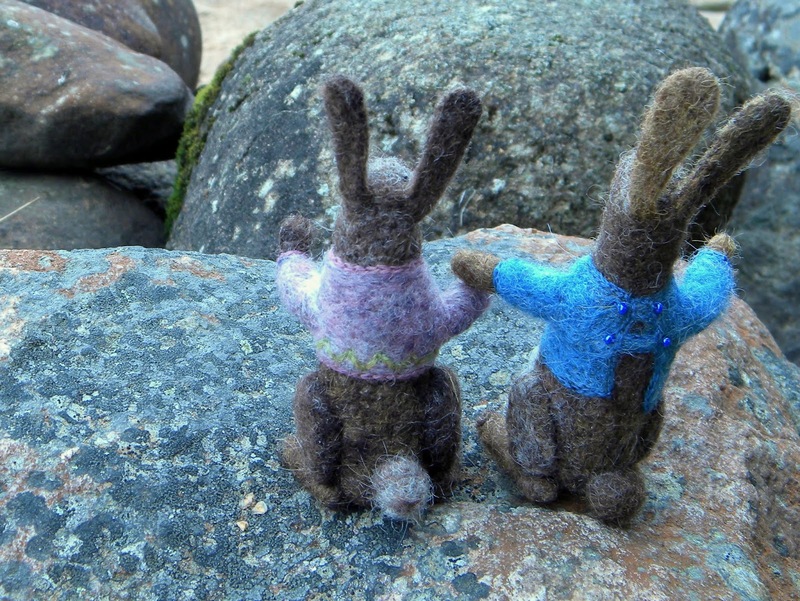 I love how you gave them little jacket and set them atop the rock to photograph. Even though you just made them it seems like they have a little story to tell us already. Enjoy the rest of your summer. Welcome back Lene! We missed you! Love the bunnies, the banner, the photos and thank you for sharing your feelings! It is okay not to feel up to something, anything! We are just glad you are back! A warm hello from the Pacific NW coast and hugs to you!! Love your post, your bunnies and pictures. Beautiful! I think of you every day when I go through my blogs to check, am so happy to see a new one from you. Thanks for sharing. The bunnies are beautiful and I really really hope that the return of the crafting means the return of strength and health and happiness and spirits for you and your family. The bunnies are fantastic, it doesn't surprise me at all that they are because you are so creative and talented. It seems like a very difficult year for so many people. Hope you know we are here for you when and if you would like to share. I have been following your blog for a long time and enjoyed the beauty and style of your products. Your bunny rabbits are just wonderful. I feel a tickle in my fingers and would like to try.... I'm glad you back. It's so nice to se you writing again! Those bunnies are adorable. 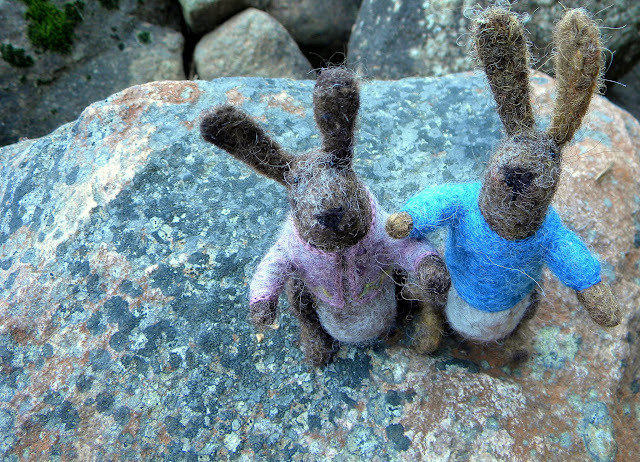 Fabulous wool bunnies - glad that you are with us again. Keep well. I am so glad you feel able to post something. I love the felting but am even more pleased that you are back on the net. Take your time though, we are not going anywhere - we can wait. I'm so glad to read that you are back again, after your hard summer of just hanging on. I know what that is like. Creativity cannot dwell or thrive in such a dark, hard space. But look! Bunnies! They are precious and I could steal every one. Thank you so much for taking time to share them with us/me! I love these little bunnies of earthly colors and the sparkly bead buttons. Best wishes for a peaceful autumn. Sweet to read your post today. Think of you often and know there will be better days for you in the future. The bunnies are dear. They convey your thoughts. Take care. Now I know you have heard this from many others, but I understand what it's like to have to pull back from many pleasant activities. Life is hard enough - PLEASE don't worry that you're not blogging "enough". As you said, we're waiting and wishing you and your family well. Lene. Your bunnies are adorable! Wishing comfort and peace to you and your family. Lene, many people pray for the safety of all people in the world; for peace, for health and happiness to all people. I am one person, out here in the world, hoping better times for you and your family in particular. I know there are other people who need prayers and good wishes, but those billions are too many for me to "wrap my head around". You, I can. Best wishes, dear one. From Ellen in Connecticut. We struggled with our daughter's illness when she was 11 years old, and we never thought she would recover. But she has- or at least she is learning to live with it. It seems very dark for a long time, but the morning will come. I wish you and your family well, and I am glad you have found such comfort in the things of your hands. I, too, found that handwork was what kept me life together in that very difficult period. 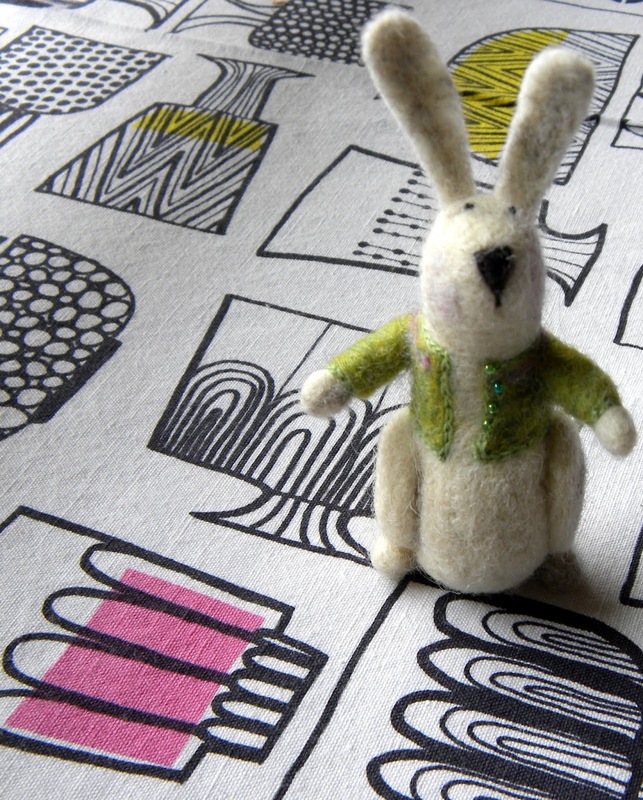 I love the bunnies and noticed the new work right away in the banner....glad you still had the wool! As always your creativity and talent are amazing. They are so sweet. I have been thinking of you and your family; keeping you in my thoughts. 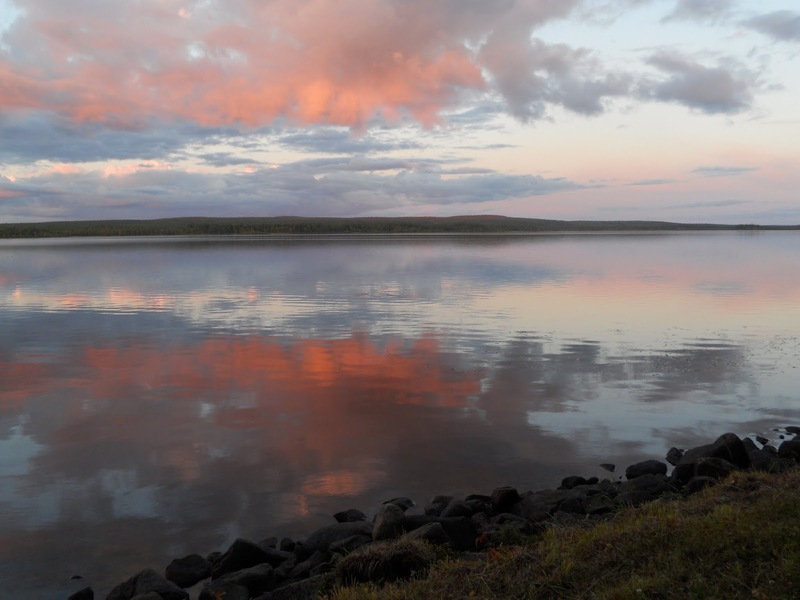 The lake photos are beautiful; the weather is changing in your world. I am in Southern California, and it is still hot! I'll be sending good thoughts your way. I was very glad to see a post about you. i am still praying for you and your family. You take care of you, your family and those cute cute cute fuzzy bunnies. We, the blog, can wait... as long as you need. Family worries can really take their toll - and must of necessity create a new normal - a new path of just getting through. I hope you will find the path easier soon, allowing more freedom to think of other things. Hi Lene,thanks for sharing this great post. They are very unique. My kids would really like this kind of stuffs. Keep on posting. It is a real pity that people like you, who are so gifted with talent - on the other hand have to suffer so much and have to struggle with their ordinary life in such a way...but maybe only from that grows art, r e a l art. Because what you do isn't handiwork anymore, it's a r t.
Be blessed - and keep up the phantasic work whenever you can. So sorry to hear of your difficult summer - may you have a "brighter" winter - the bunnies look like the beginning of something wonderful. Sorry you´re not well. But you sure make nice bunnies... I kind of need them... I´ll have to look into this. Kate Davies has made beautiful dogs the same way. She has a beautiful blog with knitting and once or so, she showed dogs that I loved. Get better soon! 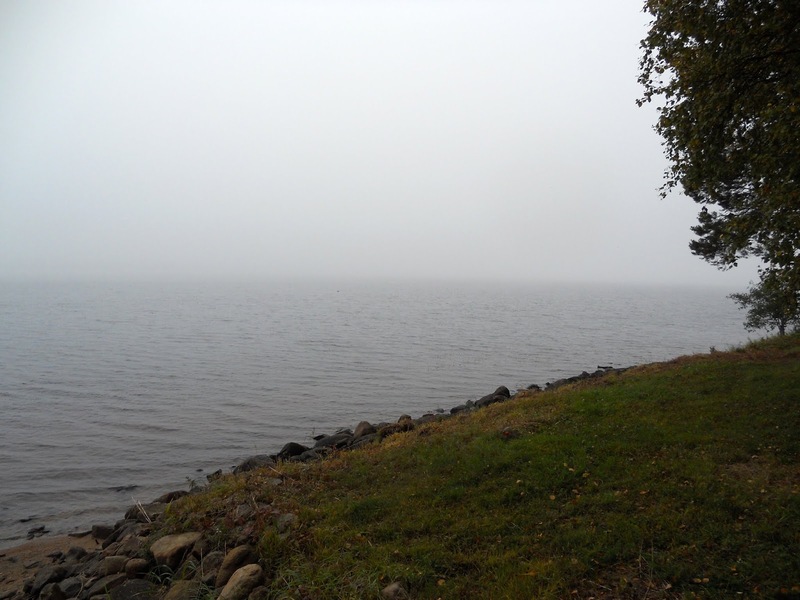 Lene, your landscape photographs are evocative, as always. And those bunnies face the future, hand-in-paw, with what I interpret as hope and excitement! As always, thank you for sharing your crafting world, your physical world (I love to see photos of where you live), and for giving us a glimpse of your inner world. They all seem to be truly magical, and I feel very privileged indeed! You have such an amazing talent. I'm so glad you held onto that fleece, that the little voice deep inside you made you keep it. Your work is wonderful; I'm glad you have it to get you through all these tough times. Thank you for sharing. Those little bunnies are just gorgeous. I join with readers all over the world who are glad to see you back -- and who think the bunnies are very special! I hold on to my wool in all its forms and eventually transform it into something; the possibilities are pentiful. Welcome back to crafting Lene, you have been missed. I am sorry you had a dificult summer but I hope that the autumn and winter will bring a return to a happier place. uskomattoman upeita kuvia, rauhoittavia käsityökaunokaisia. Lämmin, luja rutistus täältä. Kirjoitan sinulle usein ajatuksissani. Those bunnies have so much love and personality. I hope that they bring you some respite. I have a friend that lives here in Canada, but grew up in a northern area of Finland, where (he told me) that they did not lock the doors when leaving the house, they only put a broom against the door to let everyone know that no-one was home! I see your natural Finland, and your reindeer, and I love it.